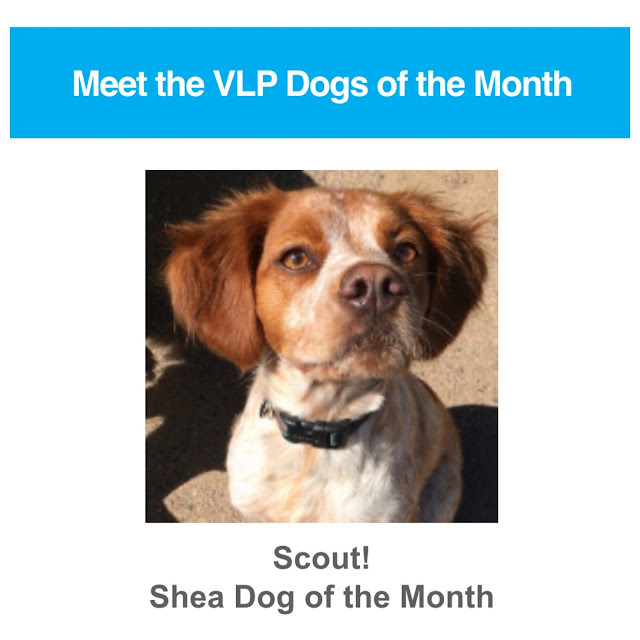 Pup of the month! How cute is that? And, the food tour! Sign me up. That sounds like a great thing to add to any trip. Aww, congrats to Scout! I loved seeing the bachelorette in NYC, though I was sad because when they were filming here, I had an opportunity to attend the rap battle date but couldn't go because of work! At least I finally got to see how it played out, haha. Happy Friday! I've been wanting to see McFarland USA! I think it looks really good!! That food tour sounds SO good!! Congrats to Scout, that's so cute! We can't really get into this session of the bachelorette. We find ourselves flipping back and forth between other shows when it's on. The rap battle was interesting though. Maybe it will draw us in as the season goes on. You look so cute with that pack! I need to get one soon but I just can't bring myself to do it yet. Yay for Scout! So cute! Looks like you have some big summer plans! Congratulations Scout!! We will actually be in Phoenix this weekend and into next week visiting my John's brother at Luke Air Force Base. Do you have any restaurant recommendations?? Have a great weekend! Yay for Scout!! She couldn't be any cuter! And I agree about letting Nick stay on The Bachelorete... I actually can't stand him but I'm all for drama ;) Happy weekend! Omg I die over scout's picture… happy doggy mom! I am a fan of the super country guy on the Bach, I forget his name though. I also like the tall, dark haired guy she had the one-on-one with in the "haunted house". I seems reasonably normal. Happy weekend lady! 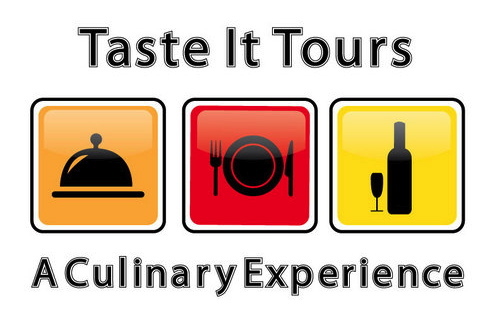 Taste tours?? That sounds like the best idea ever! 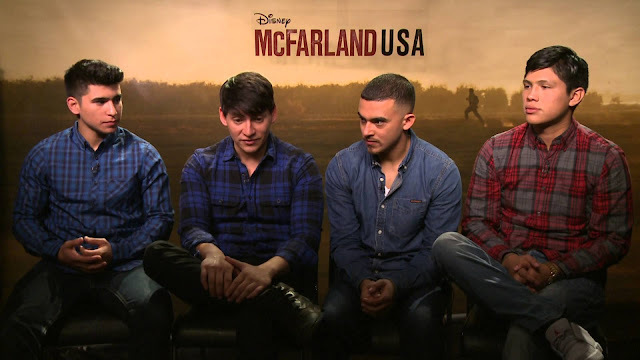 I really enjoyed McFarland USA too! GO Scout--so cute! Hmm I wish my firm would host a taste tour! Scout looks adorable peaking out from behind John! 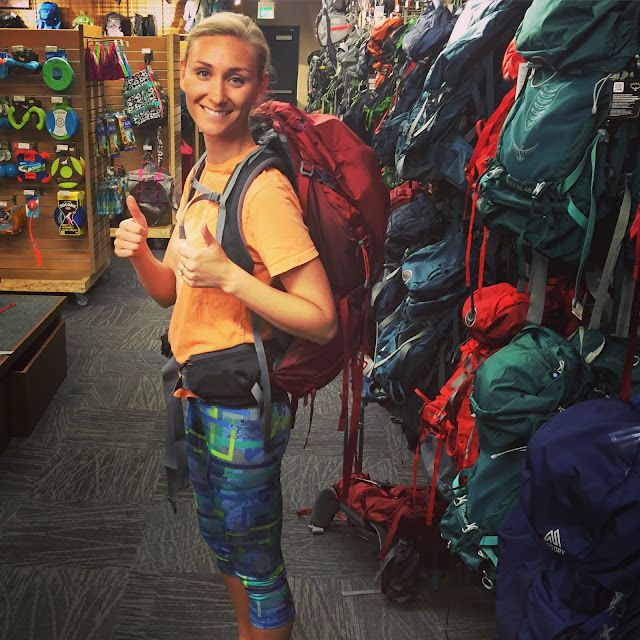 That pack is so dang huge on you haha. Rocking it though, girl! 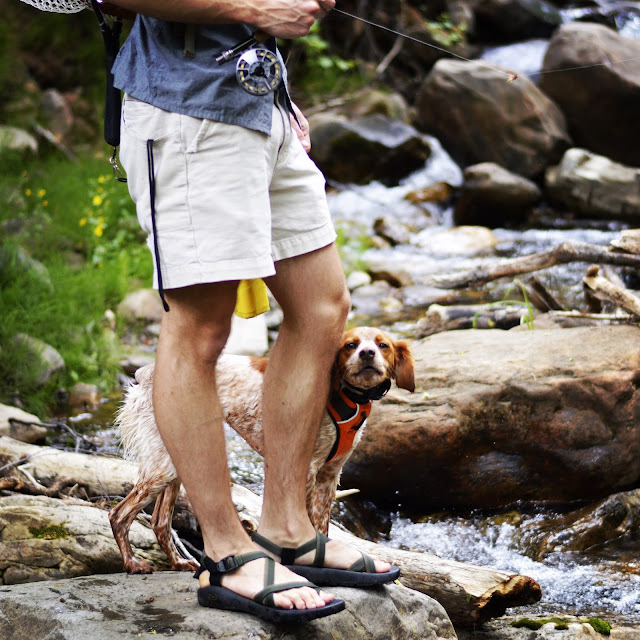 Good dog, Scout! :) The culinary tour I took here in Charleston was a blast; you'll have to try it one day! So sweet that you send Scout to day camp for dogs!! And kudos to her for getting dog of the month! that first picture is so pretty!!! Also, not a fan of nick in general but definitely on the let-him-stay side because she seems like the kind of person to regret not exploring the "what if"
congrats, scout! what a cutie! I haven't watched the first episode of the Bachelorette this season but been reading Sheaffer's recaps. Maybe I'll get caught up one day!